G45 has a Summertime Challenge on their blog this month. This is the page I created for it. 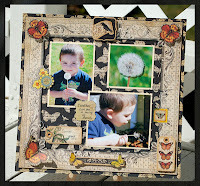 When I saw the dandilions in the yard I knew that is what I wanted to do a page layout of. 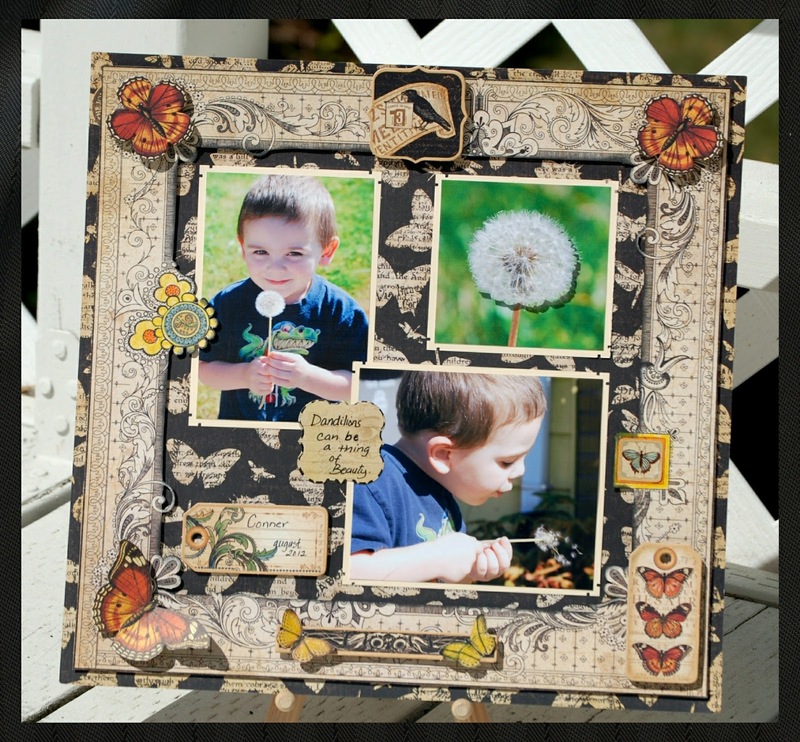 So I took my 3 year old grandson out to the yard and shot photos of him playing with the dandilions. I used papers and embellishments from the Olde Curriosity Shoppe paper line. Once it was done I thought of other things I should have done, but don't have the time to redo it. I am entering it in the Western Washington State Fair, in the Hobby Hall Paper Crafting section. So I have to deliver it tomorrow, the 25th. Beautiful. Congratulations on winning!! Well deserved! !